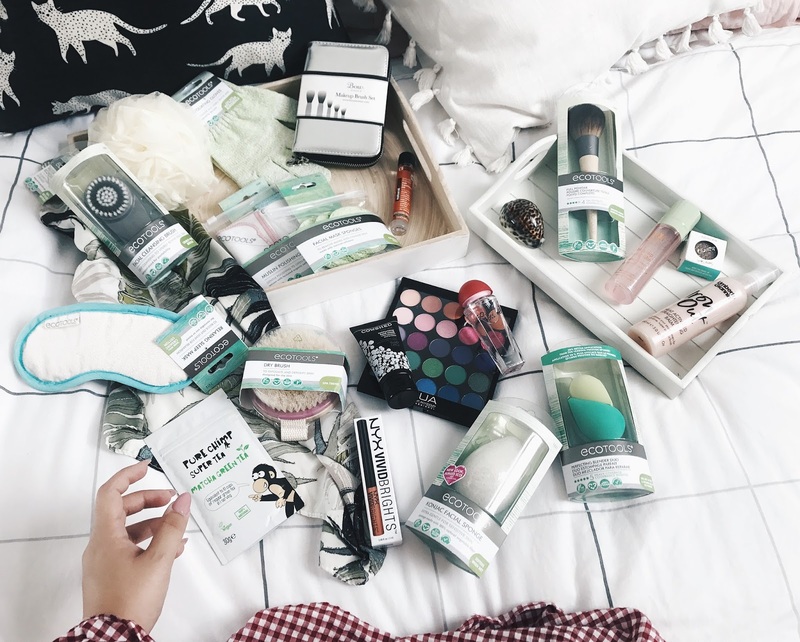 My 15K Giveaway – Ecotools, Pixi, & More! Well gosh darn it, I made it to 15K on Twitter and I’m over the bloody moon. Thank you so much to those of you who’ve followed my journey as a blogger, especially from the very beginning as you’ll know that I used to hate Twitter. Yup, believe it or not I didn’t really “get” Twitter and how it worked… Like who wants to hear about my thoughts on things or read the stuff I write? Apparently 15K of you do, thank you so much. To thank you all I’ve got together a bunch of products (thanks to Ecotools – you guys are the best!) and few other bits and bobs from other brands that you can get ya paws on by entering the rafflecopter giveaway below. NOTE: Some of the items have been removed from outer packaging only for photographic reasons. They have not been opened, swatched, or tested, and will be shipped in the original outer packaging. ~ Enter to be in with a chance of winning all of the featured items. ~ Please refrain from entering with multiple accounts, lets keep it fair guys. ~ There will be only one winner. ~ The giveaway is open to those in the UK only, sorry! ~ If you are under 16, please ask your parent/guardian’s permission before entering. ~ Once the giveaway is over, I will contact the winner directly via twitter and email, so don’t forget to check the email address and handle given in your giveaway entries. ~ The winners have 72 hours only to reply before a new winner is chosen. ~ I will post all of the items and the package will be posted on recorded delivery. ~ There are 2 mandatory entries – you only need to complete one to enter once. ~ However, once these are completed, new ways over entering will be unlocked. ~ Don’t forget to fill these out for extra chances of winning! 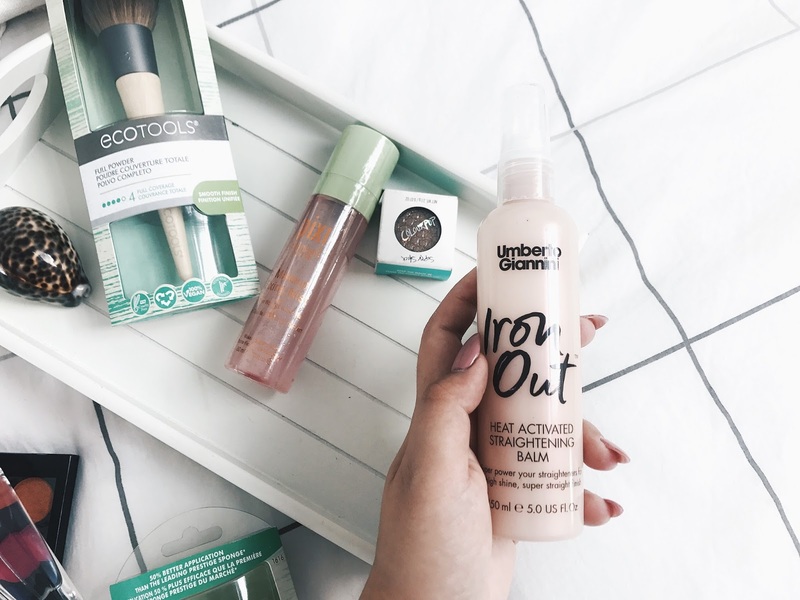 I'd love to give the cleansing brush a try, but everything looks great! The cleansing brush looks great, I love ecotools, it would be great to add to my collection! Everything looks fab ! Would love to try the cleansing brush have heard they are really good ! 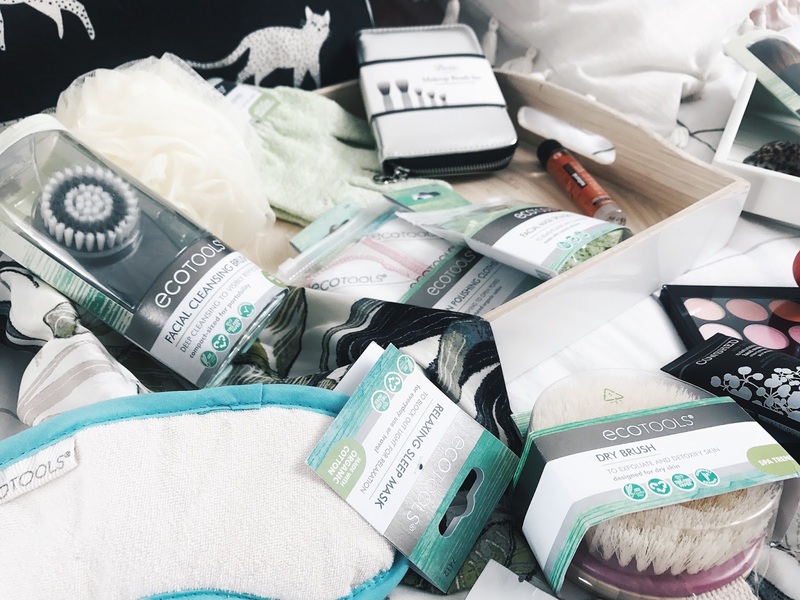 The cleansing brush looks great for me – I love the look of ecotools, – thanks for the chance to win! 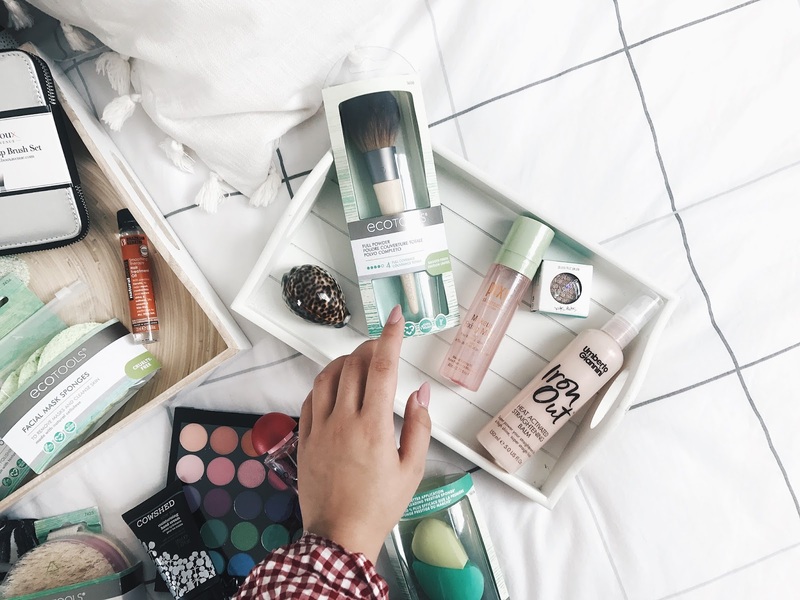 Never tried eco tools before but they all look really good, congrats on 15k! the cleansing brush looks so good would love to try it! Definitely the facial sponges. I already use Eco Tools brushes and they are so soft. The facial cleansing brush,I haven't used one before. I would most like to try the dry brush and the polishing cloths. Everything looks amazing but I have never heard of facial mask sponges so I would be most excited to try those out as my mask removal is quite rough!! The straightening balm, I could really do with that. Great giveaway! What a fab prize, the dry brush is the one I'd start with! I'd love to try the facial brush. would love to try the facial brush! Congratulations! Definitely the blender duo. It's something I've wanted to try for ages but been hesitant about. The Make up Brush set- mine are a bit past it!! 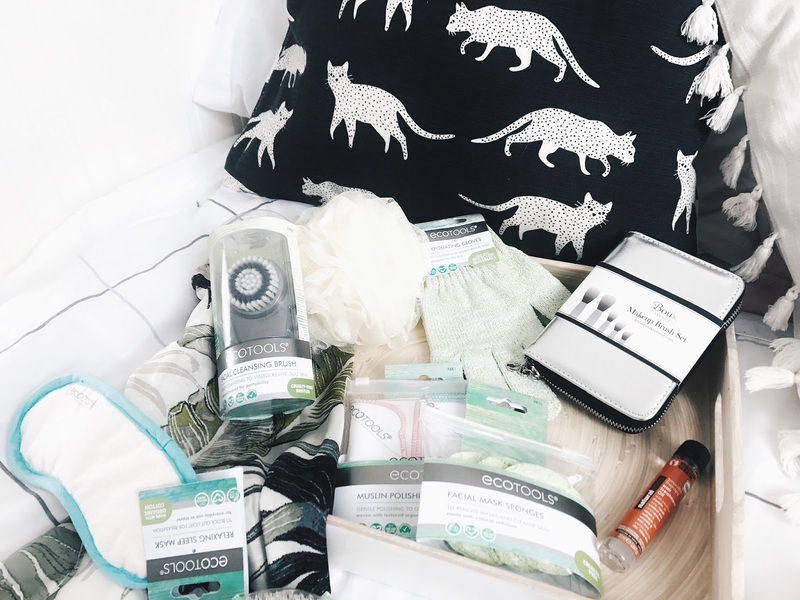 Would love to try the eco tools Konjac Eco Sponge! The facial brush looks so amazing, I'd love to try that out! ecotools is my fave brush brand, they're so soft and do everything so well! 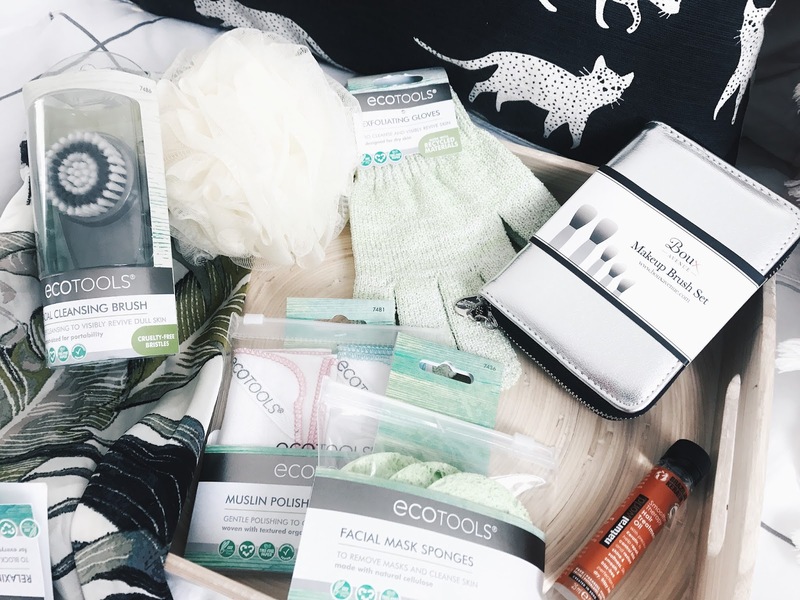 I love ecotools brushes but I'd love to try out their loofahs and face brushes! I would like to try the facial powder brush, it looks really soft! i like the cleansing brush, seen these about and got really good reviews! I love the sound of the 'Facial Cleansing Brush'! Sounds brilliant! The cleansing brush sounds intriguing! I would love to try the facial brush. Sounds fab. I think the facial cleansing brush. It may help with mild dry skin. I'm excited to try the cleansing brush, never used one before. Your photos are fab, love the way you've styled the shots. 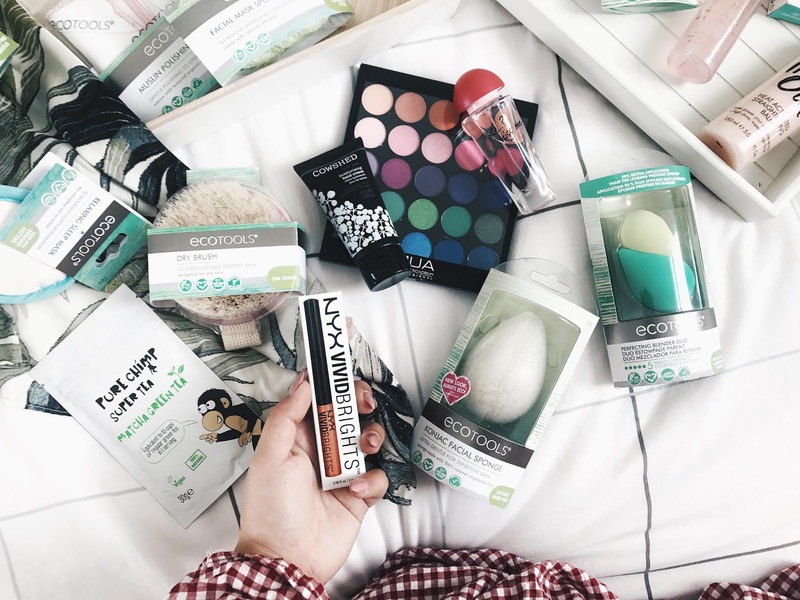 The makeup sponges – i must be the only person who hasn't tried one yet! the cleansing brush. ive never tried one! The sponges as I usually use brushes so I'm interested to give these a try. I've wanted to try a cleansing brush for ages so that would be the first thing i did!! I would love to try the cleansing brush! I would love to try the powder brush as I've only tried the eco tools eyeshadow brushes before! The cleansing brush looks fabulous! I would absolutely love to try the EcoTools Facial Cleansing Brush. I have heard really great things about it so would love to try it for myself! The sleep mask looks fabulous! The brushes would be brilliant! Love the eco tools brushes ! I would really LOVE to WIN!!!! I could use EVERYTHING shown. Especially the face brush and the shower puff ball. It has been sooooo long since I've worn makeup am scared to use mine, so this would be a great start to using makeup again!! Thanks for the chance to enter and good luck to everyone, but please please please pick me!!!! !